British Prime Minister, David Cameron recently pledged a £300m government support for a big data human-genome mapping project in England. The four year project will see scientists decipher a 100,000 human genomes. Cameron disclosed a partnership between Genomics England, a Department of Health owned initiative and a San Diego based biotechnology company, Illumina, whose services will cost £78 million. Illumina will invest £162 million over four years, providing “infrastructure and expertise”. 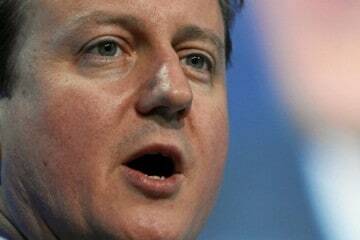 Cameron said: “This agreement will see the UK lead the world in genetic research within years. I am determined to do all I can to support the health and scientific sector to unlock the power of DNA, turning an important scientific breakthrough into something that will help deliver better tests, better drugs and above all better care for patients”. The prime minister says that the project will map 100,000 human genomes by 2017. The idea is to advance cancer and other rare disease treatment by sequencing the genomes of people already afflicted. It is hoped that new and better tests, drugs and treatment will follow. Patients with rare diseases, and their families, as well as patients with common cancers are being focused on at present while the project currently remains in its pilot phase and the main project begins in 2015.